On September 23, 1947, the chief of the Air Technical Intelligence Center, one of the Air Force’s most highly specialized intelligence units, sent a letter to the Commanding General of the then Army Air Forces. The letter was in answer to the Commanding General’s verbal request to make a preliminary study of the reports of unidentified flying objects. The letter said that after a preliminary study of UFO reports, ATIC concluded that, to quote from the letter, “the reported phenomena were real.” The letter strongly urged that a permanent Project be established at ATIC to investigate and analyze future UFO reports. It requested a priority for the Project, a registered code name, and an over-all security classification. ATIC’s request was granted and Project Sign, the forerunner of Project Grudge and Project Blue Book, was launched. It was given a 2A priority, lA being the highest priority an Air Force Project could have. With this the Air Force dipped into the most prolonged and widespread controversy it has ever, or may ever, encounter. The Air Force grabbed the proverbial bear by the tail and to this day it hasn’t been able to let loose. The letter to the Commanding General of the Army Air Forces from the chief of ATIC had used the word “phenomena.” History has shown that this was not a too well chosen word. But on September 23, 1947, when the letter was written, ATIC’s intelligence specialists were confident that within a few months or a year they would have the answer to the question, “What are UFO’s?” The question, “Do UFO’s exist?” was never mentioned. The only problem that confronted the people at ATIC was, “Were the UFO’s of Russian or interplanetary origin?” Either case called for a serious, secrecy shrouded project. Only top people at ATIC were assigned to Project Sign. Although a formal Project for UFO investigation wasn’t set up until September 1947, the Air Force had been vitally interested in UFO reports ever since June 24, 1947, the day Kenneth Arnold made the original UFO report. As Arnold’s story of what he saw that day has been handed down by the bards of saucerism, the true facts have been warped, twisted, and changed. Even some points in Arnold’s own account of his sighting as published in his book, The Coming 0f The Saucers, do not jibe with what the official files say he told the Air Force in 1947. Since this incident was the original UFO sighting, I used to get many inquiries about it from the Press and at briefings. To get the true and accurate story of what did happen to Kenneth Arnold on June 24, 1947, I had to go back through old newspaper files, official reports, and talk to people who had worked on Project Sign. By cross-checking these data and talking to people who had heard Arnold tell about his UFO sighting soon after it happened, I finally came up with what I believe is the accurate story. During the time that the objects were in sight, Arnold had clocked their speed. He had marked his position and their position on the map and again noted the time. When he landed he sketched in the flight path that the objects had flown and computed their speed, almost 1,700 miles per hour. He estimated that they had been 20 to 25 miles away and had travelled 47 miles in 102 seconds. I found that there was a lot of speculation on this report. Two factions at ATIC had joined up behind two lines of reasoning. One side said that Arnold had seen plain, everyday jet airplanes flying in formation. This side’s argument was based on the physical limitations of the human eye, visual acuity, the eye’s ability to see a small, distant object. Tests, they showed, had proved that a person with normal vision can’t “see” an object that subtends an angle of less than 0.2 second of arc. For example, a basketball can’t be seen at a distance of several miles but if you move the basketball closer and closer, at some point you will be able to see it. At this point the angle between the top and bottom of the ball and your eye will be about 0.2 of a second of arc. This was applied to Arnold’s sighting. The “Arnold-saw-airplanes” faction maintained that since Arnold said that the objects were 45 to 50 feet long they would have had to be much closer than he had estimated or he couldn’t even have seen them at all. Since they were much closer than he estimated, Arnold’s timed speed was all wrong and instead of going 1,700 miles per hour the objects were traveling at a speed closer to 400 miles per hour, the speed of a jet. There was no reason to believe they weren’t jets. The jets appeared to have a skipping motion because Arnold had looked at them through layers of warm and cold air, like heat waves coming from a hot pavement that cause an object to shimmer. The other side didn’t buy this idea at all. They based their argument on the fact that Arnold knew where the objects were when he timed them. After all, he was an old mountain pilot and was as familiar with the area around the Cascade Mountains as he was with his own living room. To cinch this point the fact that the objects had passed behind a mountain peak was brought up. This positively established the distance the objects were from Arnold and confirmed his calculated 1,700-miles-per-hour speed. Besides, no airplane can weave in and out between mountain peaks in the short time that Arnold was watching them. The visual acuity factor only strengthened the “Arnold-saw-a-flying-saucer” faction’s theory that what he’d seen was a spaceship. If he could see the objects 20 to 25 miles away, they must have been about 210 feet long instead of the poorly estimated 45 to 50 feet. In warping, twisting, and changing the Arnold incident, the writers of saucer lore haven’t been content to confine themselves to the incident itself; they have dragged in the crashed Marine Corps’ C-46. 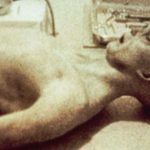 They intimate that the same flying saucers that Arnold saw shot down the C-46, grabbed up the bodies of the passengers and crew, and now have them pickled at the University of Venus Medical School. As proof they apply the same illogical reasoning that they apply to most everything. The military never released photos of the bodies of the dead men, therefore there were no bodies. There were photographs and there were bodies. In consideration of the families of air crewmen and passengers, photos of air crashes showing dead bodies are never released. Arnold himself seems to be the reason for a lot of the excitement that heralded flying saucers. Stories of odd incidents that occur in this world are continually being reported by newspapers, but never on the scale of the first UFO report. Occasional stories of the “Himalayan snowmen,” or the “Malayan monsters,” rate only a few inches or a column on the back pages of newspapers. Arnold’s story, if it didn’t make the headlines, at least made the front page. I had the reason for this explained to me one day when I was investigating a series of UFO reports in California in the spring of 1952. I was making my headquarters at an air base where a fighter bomber wing was stationed. Through a mutual friend I met one of the fighter- bomber pilots who had known Arnold. In civilian life the pilot was a news paper reporter and had worked on the original Arnold story. He told me that when the story first broke all the newspaper editors in the area were thoroughly convinced that the incident was a hoax, and that they intended to write the story as such. The more they dug into the facts, however, and into Arnold’s reputation, the more it appeared that he was telling the truth. Besides having an unquestionable character, he was an excellent mountain pilot, and mountain pilots are a breed of men who know every nook and cranny of the mountains in their area. The most fantastic part of Arnold’s story had been the 1,700-miles-per-hour speed computed from Arnold’s timing the objects between two landmarks. “When Arnold told us how he computed the speed,” my chance acquaintance told me, “we all put a lot of faith in his story.” He went on to say that when the editors found out that they were wrong about the hoax, they did a complete about-face, and were very much impressed by the story. This enthusiasm spread, and since the Air Force so quickly denied ownership of the objects, all of the facts built up into a story so unique that papers all over the world gave it front-page space. There was an old theory that maybe Arnold had seen wind whipping snow along the mountain ridges, so I asked about this. I got a flat “Impossible.” My expert on the early Arnold era said, “I’ve lived in the Pacific Northwest many years and have flown in the area for hundreds of hours. It’s impossible to get powder snow low in the mountains in June. Personally, I believe Arnold saw some kind of aircraft and they weren’t from this earth.” He went on to tell me about two other very similar sightings that had happened the day after Arnold saw the nine disks. He knew the people who made these sightings and said that they weren’t the kind to go off “half cocked.” He offered to get a T-6 and fly me up to Boise to talk to them since they had never made a report to the military, but I had to return to Dayton so I declined. Within a few days of Arnold’s sighting, others began to come m. On June 28 an Air Force pilot in an F-51 was flying near Lake Mead, Nevada, when he saw a formation of five or six circular objects off his right wing. This was about three fifteen in the afternoon. That night at nine twenty, four Air Force officers, two pilots, and two intelligence officers from Maxwell AFB in Montgomery, Alabama, saw a bright light traveling across the sky. It was first seen just above the horizon, and as it travelled toward the observers it “zigzagged,” with bursts of high speed. When it was directly overhead it made a sharp 90 degree turn and was lost from view as it travelled south. The week of July 4, 1947, set a record for reports that was not broken until 1952. The center of activity was the Portland, Oregon, area. At 11:00 A.M. a carload of people driving near Redmond saw four disk – shaped objects streaking past Mount Jefferson. At 1:05 P.M. a policeman was in the parking lot behind the Portland City Police Headquarters when he noticed some pigeons suddenly began to flutter around as if they were scared. He looked up and saw five large disk shaped objects, two going south and three going east. They were traveling at a high rate of speed and seemed to be oscillating about their lateral axis. Minutes later two other policemen, both ex-pilots, reported three of the same things flying in trail. Before long the harbor patrol called into headquarters. A crew of four patrolmen had seen three to six of the disks, “shaped like chrome hub caps,” traveling very fast. They also oscillated as they flew. Then the citizens of Portland began to see them. A man saw one going east and two going north. At four thirty a woman called in and had just seen one that looked like “a new dime flipping around.” Another man reported two, one going southeast, one northeast. From Milwaukee, Oregon, three were reported going northwest. In Vancouver, Washington, sheriff’s deputies saw twenty to thirty. Five “somethings,” which were thin and smooth on the bottom and rough appearing on top, were seen silhouetted against the sunset shortly after the plane took off from Boise at 8:04 P.M. We saw them clearly. We followed them in a northeasterly direction for about 45 miles. They finally disappeared. We were unable to tell whether they out sped us or disintegrated. We can’t say whether they were “smear like,” oval, or anything else but whatever they were they were not aircraft, clouds or smoke. Civilians did not have a corner on the market. On July 6 a staff sergeant in Birmingham, Alabama, saw several “dim, glowing lights” speeding across the sky and photographed one of them. Also on the sixth the crew of an Air Force B-25 saw a bright, disk shaped object “low at nine o’clock.” This is one of the few reports of an object lower than the aircraft. At Fairfield-Suisun AFB in California a pilot saw something travel three quarters of the way across the sky in a few seconds. It, too, was oscillating on its lateral axis. According to the old hands at ATIC, the first sighting that really made the Air Force take a deep interest in UFO’s occurred on July 8 at Muroc Air Base (now Edwards AFB), the super secret Air Force test center in the Mojave Desert of California. At 10:10 A.M. a test pilot was running up the engine of the then new XP-84 in preparation for a test flight. He happened to look up and to the north he saw what first appeared to be a weather balloon traveling in a westerly direction. After watching it a few seconds, he changed his mind. He had been briefed on the high altitude winds, and the object he saw was going against the wind. Had it been the size of a normal aircraft, the test pilot estimated that it would have been at 10,000 to 12,000 feet and traveling 200 to 225 miles per hour. He described the object as being spherically shaped and yellowish white in color. It was man-made, as evidenced by the outline and functional appearance. Exactly four hours later the pilot of an F-51 was flying at 20,000 feet about 40 miles south of Muroc Air Base when he sighted a “flat object of a light reflecting nature.” He reported that it had no vertical fin or wings. When he first saw it, the object was above him and he tried to climb up to it, but his F-51 would not climb high enough. All air bases in the area were contacted but they had no aircraft in the area. By the end of July 1947 the UFO security lid was down tight. The few members of the Press who did inquire about what the Air Force was doing got the same treatment that you would get today if you inquired about the number of thermonuclear weapons stock-piled in the U.S.’s atomic arsenal. No one, outside of a few high-ranking officers in the Pentagon, knew what the people in the barbed wire enclosed Quonset huts that housed the Air Technical Intelligence Center were thinking or doing. The memos and correspondence that Project Blue Book inherited from the old UFO projects told the story of the early flying saucer era. These memos and pieces of correspondence showed that the UFO situation was considered to be serious; in fact, very serious. The paper work of that period also indicated the confusion that surrounded the investigation; confusion almost to the point of panic. The brass wanted an answer, quickly, and people were taking off in all directions. Everyone’s theory was as good as the next and each person with any weight at ATIC was plugging and investigating his own theory. 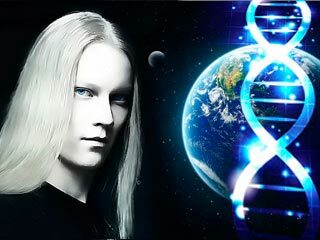 The ideas as to the origin of the UFO’s fell into two main categories, earthly and non earthly. In the earthly category the Russians led, with the U.S. Navy and their XF-5-U-l, the “Flying Flapjack,” pulling a not too close second. The desire to cover all leads was graphically pointed up to be a personal handwritten note I found in a file. It was from ATIC’s chief to a civilian intelligence specialist. It said, “Are you positive that the Navy junked the XF-5-U-1 project?” The non earthly category ran the gamut of theories, with space animals trailing interplanetary craft about the same distance the Navy was behind the Russians. When World War II ended, the Germans had several radical types of aircraft and guided missiles under development. The majority of these projects were in the most preliminary stages but they were the only known craft that could even approach the performance of the objects reported by UFO observers. Like the Allies, after World War II the Soviets had obtained complete sets of data on the latest German developments. This, coupled with rumors that the Soviets were frantically developing the German ideas, caused no small degree of alarm. As more UFO’s were observed near the Air Force’s Muroc Test Center, the Army’s White Sands Proving Ground, and atomic bomb plants, ATIC’s efforts became more concentrated. 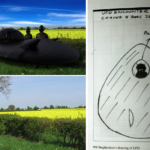 At first there was no co-ordinated effort to collect data on the UFO reports. Leads would come from radio reports or newspaper items. Military intelligence agencies outside of ATIC were hesitant to investigate on their own initiative because, as is so typical of the military, they lacked specific orders. When no orders were forthcoming, they took this to mean that the military had no interest in the UFO’s. But before long this placid attitude changed, and changed drastically. Classified orders came down to investigate all UFO sightings. Get every detail and send it direct to ATIC at Wright Field. The order carried no explanation as to why the information was wanted. This lack of an explanation and the fact that the information was to be sent directly to a high-powered intelligence group within Air Force Headquarters stirred the imagination of every potential cloak- and- dagger man in the military intelligence system. Intelligence people in the field who had previously been free with opinions now clammed up tight. Early statements to the Press, which shaped the opinion of the public, didn’t reduce the confusion factor. While ATIC was grimly expending maximum effort in a serious study, “certain high placed officials” were officially chuckling at the mention of UFO’s. 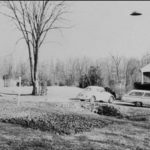 The “experts,” in their stories of saucer lore, have said that these brush offs of the UFO sightings were intentional smoke screens to cover the facts by adding confusion. This is not true; it was merely a lack of coordination. But had the Air Force tried to throw up a screen of confusion, they couldn’t have done a better job. The report of the investigation of this incident, the Maury Island Mystery, was one of the most detailed reports of the early UFO era. The report that we had in our files had been pieced together by Air Force Intelligence and other agencies because the two intelligence officers who started the investigation couldn’t finish it. They were dead. For the Air Force the story started on July 31, 1947, when Lieutenant Frank Brown, an intelligence agent at Hamilton AFB, California, received a long-distance phone call. The caller was a man whom I’ll call Simpson, who had met Brown when Brown investigated an earlier UFO sighting, and he had a hot lead on another UFO incident. He had just talked to two Tacoma Harbor patrolmen. One of them had seen six UFO’s hover over his patrol boat and spew out chunks of odd metal. Simpson had some of the pieces of the metal. The story sounded good to Lieutenant Brown, so he reported it to his chief. His chief OK’d a trip and within an hour Lieutenant Brown and Captain Davidson were flying to Tacoma in an Air Force B-25. When they arrived they met Simpson and an airline pilot friend of his in Simpson’s hotel room. After the usual round of introductions Simpson told Brown and Davidson that he had received a letter from a Chicago publisher asking him, Simpson, to investigate this case. The publisher had paid him $200 and wanted an exclusive on the story, but things were getting too hot, Simpson wanted the military to take over. I’ll call these two men Jackson and Richards although these aren’t their real names. In June 1947, Jackson said, his crew, his son, and the son’s dog were on his patrol boat patrolling near Maury Island, an island in Puget Sound, about 3 miles from Tacoma. It was a gray day, with a solid cloud deck down at about 2,500 feet. Suddenly everyone on the boat noticed six “doughnut shaped” objects, just under the clouds, headed toward the boat. They came closer and closer, and when they were about 500 feet over the boat they stopped. One of the doughnut shaped objects seemed to be in trouble as the other five were hovering around it. They were close, and everybody got a good look. The UFO’s were about 100 feet in diameter, with the “hole in the doughnut” being about 25 feet in diameter. They were a silver color and made absolutely no noise. Each object had large portholes around the edge. As the five UFO’s circled the sixth, Jackson recalled, one of them came in and appeared to make contact with the disabled craft. The two objects maintained contact for a few minutes, then began to separate. While this was going on, Jackson was taking photos. Just as they began to separate, there was a dull “thud” and the next second the UFO began to spew out sheets of very light metal from the hole in the center. As these were fluttering to the water, the UFO began to throw out a harder, rocklike material. Some of it landed on the beach of Maury Island. Jackson took his crew and headed toward the beach of Maury Island, but not before the boat was damaged, his son’s arm had been injured, and the dog killed. As they reached the island they looked up and saw that the UFO’s were leaving the area at high speed. The harbor patrolman went on to tell how he scooped up several chunks of the metal from the beach and boarded the patrol boat. He tried to use his radio to summon aid, but for some unusual reason the interference was so bad he couldn’t even call the three miles to his headquarters in Tacoma. When they docked at Tacoma, Jackson got first aid for his son and then reported to his superior officer, Richards, who, Jackson added to his story, didn’t believe the tale. He didn’t believe it until he went out to the island himself and saw the metal. Jackson’s trouble wasn’t over. The next morning a mysterious visitor told Jackson to forget what he’d seen. Then Simpson told about his brush with mysterious callers. He said that Jackson was not alone as far as mysterious callers were concerned, the Tacoma newspapers had been getting calls from an anonymous tipster telling exactly what was going on in Simpson’s hotel room. This was a very curious situation because no one except Simpson, the airline pilot, and the two harbor patrolmen knew what was taking place. The room had even been thoroughly searched for hidden microphones. After asking Jackson and Richards a few questions, the two intelligence agents left, reluctant even to take any of the fragments. As some writers who have since written about this incident have said, Brown and Davidson seemed to be anxious to leave and afraid to touch the fragments of the UFO, as if they knew something more about them. The two officers went to McChord AFB, near Tacoma, where their B-25 was parked, held a conference with the intelligence officer at McChord, and took off for their home base, Hamilton. When they left McChord they had a good idea as to the identity of the UFO’s. Fortunately they told the McChord intelligence officer what they had determined from their interview. The report goes on to explain more details of the incident. Neither one of the two men could ever produce the photos. They “misplaced” them, they said. One of them, I forget which, was the mysterious informer who called the newspapers to report the conversations that were going on in the hotel room. Jackson’s mysterious visitor didn’t exist. Neither of the men was a harbor patrolman, they merely owned a couple of beat-up old boats that they used to salvage floating lumber from Puget Sound. The airplane crash was one of those unfortunate things. An engine caught on fire, burned off, and just before the two pilots could get out, the wing and tail tore off, making it impossible for them to escape. The two dead officers from Hamilton AFB smelled a hoax, accounting for their short interview and hesitancy in bothering to take the “fragments.” They confirmed their convictions when they talked to the intelligence officer at McChord. It had already been established, through an informer, that the fragments were what Brown and Davidson thought, slag. The classified material on the B-25 was a file of reports the two officers offered to take back to Hamilton and had nothing to do with the Maury Island Mystery, or better, the Maury Island Hoax. Simpson and his airline pilot friend weren’t told about the hoax for one reason. As soon as it was discovered that they had been “taken,” thoroughly, and were not a party to the hoax, no one wanted to embarrass them. 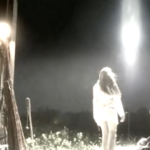 The majority of the writers of saucer lore have played this sighting to the hilt, pointing out as their main premise the fact that the story must be true because the government never openly exposed or prosecuted either of the two hoaxers. This is a logical premise, but a false one. The reason for the thorough investigation of the Maury Island Hoax was that the government had thought seriously of prosecuting the men. At the last minute it was decided, after talking to the two men, that the hoax was a harmless joke that had mushroomed, and that the loss of two lives and a B-25 could not be directly blamed on the two men. The story wasn’t even printed because at the time of the incident, even though in this case the Press knew about it, the facts were classed as evidence. By the time the facts were released they were yesterday’s news. And nothing is deader than yesterday’s news. As 1947 drew to a close, the Air Force’s Project Sign had outgrown its initial panic and had settled down to a routine operation. Every intelligence report dealing with the Germans’ World War II aeronautical research had been studied to find out if the Russians could have developed any of the late German designs into flying saucers. Aerodynamicists at ATIC and at Wright Field’s Aircraft Laboratory computed the maximum performance that could be expected from the German designs. The designers of the aircraft themselves were contacted. “Could the Russians develop a flying saucer from their designs?” The answer was, “No, there was no conceivable way any aircraft could perform that would match the reported maneuvers of the UFO’s.” The Air Force’s Aeromedical Laboratory concurred. If the aircraft could be built, the human body couldn’t stand the violent maneuvers that were reported. The aircraft structures people seconded this, no material known could stand the loads of the reported maneuvers and heat of the high speeds. Still convinced that the UFO’s were real objects, the people at ATIC began to change their thinking. 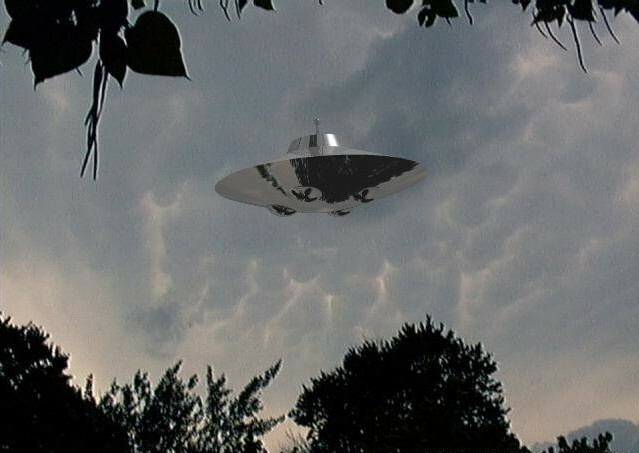 Those who were convinced that the UFO’s were of Soviet origin now began to eye outer space, not because there was any evidence that the UFO’s did come from outer space but because they were convinced that UFO’s existed and only some unknown race with a highly developed state of technology could build such vehicles. As far as the effect on the human body was concerned, why couldn’t these people, whoever they might be, stand these horrible maneuver forces? Why judge them by earthly standards? I found a memo to this effect was in the old Project Sign files. Project Sign ended 1947 with a new problem. How do you collect interplanetary intelligence? During World War II the organization that was ATIC’s forerunner, the Air Materiel Command’s secret “T-2” had developed highly effective means of wringing out every possible bit of information about the technical aspects of enemy aircraft. ATIC knew these methods, but how could this be applied to spaceships? The problem was tackled with organized confusion. Solar reflections on low hanging clouds. Small meteors that break up, their crystals catching the rays of the sun. Icing conditions could have formed large hailstones and they might have flattened out and glided. Life, Time, Newsweek, and many other news magazines carried articles about the UFO’s. Some were written with tongue in cheek, others were not. All the articles mentioned the Air Force’s mass hysterical induced hallucinations. But a Veterans’ Administration psychiatrist publicly pooh-poohed this. “Too many people are seeing things,” he said. It was widely suggested that all the UFO’s were meteors. Two Chicago astronomers queered this. Dr. Gerard Kuiper, director of the University of Chicago observatory, was quoted as flatly saying the UFO’s couldn’t be meteors. “They are probably man-made,” he told the Associated Press. 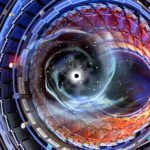 Dr. Oliver Lee, director of Northwestern University’s observatory, agreed with Dr. Kuiper and he threw in an additional confusion factor that had been in the back of many people’s minds. Maybe they were our own aircraft. The government had been denying that UFO’s belonged to the U.S. from the first, but Dr. Vannevar Bush, the world-famous scientist, and Dr. Merle Tuve, inventor of the proximity fuse, added their weight. “Impossible,” they said. All of this time unnamed Air Force officials were disclaiming serious interest in the UFO subject. Yet every time a newspaper reporter went out to interview a person who had seen a UFO, intelligence agents had already been flown in, gotten the detailed story complete with sketches of the UFO, and sped back to their base to send the report to Project Sign. Many people had supposedly been “warned” not to talk too much. The Air Force was mighty interested in hallucinations.